Exhibiting at a trade show can be a great marketing opportunity for your brand, though planning and executing can be a lot of work. We’ve got several successful trade show practices you can use to make sure you are getting the most out of your experience. Here are some of the best ways to optimize your efforts before, during, and after the show. Before the show even begins, outline what your marketing strategies will look like so you can set specific goals and track metrics. This should encompass your efforts for before, during, and after the show to generate interest in your booth. When planning which trade shows to attend, be sure to choose a show that aligns with your marketing strategy and is something you can feasibly accomplish with the best possible success. Promote your presence at the show using social media – this will help drive traffic to your booth and build buzz around your attendance. You can also post the event to your website’s event calendar so attendees can plan ahead, or consider reaching out to industry bloggers to talk about your plans for the show. This will help direct traffic to posts about the event and bring more eyes to your marketing materials. Other options include email announcements, printed postcards, and schedule reveals. Use these methods to ask potential customers what they would be most interested to learn and see during the show. Then, deliver! 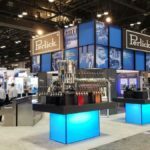 Crafting a trade show exhibit can be a stressful process for some, but it’s important to make your booth unique in order to stand out from the masses. If you can, invest in a high-quality display that can be used for many years and many different purposes. This versatility creates better return on investment (ROI) and will allow you to fit different sizes of trade show spaces without designing a new display every time. Using an eye-catching display is vital for attracting people to your space. Colors, graphics, and creative structural elements all contribute to drawing people to your booth. Brainstorm ideas that will get people to stop at your booth or entice them to share on their social media. This could include details like digital signage or interactive touch screens that encourage people to come over for a closer look. When designing your booth, remember to carefully plan your available real estate to maximize the visibility of your company’s logo and imagery. It’s a good idea to keep important information in the top-third of the booth design to keep important elements unobstructed by other items in your booth. Use social media to reach out to your followers during the show to drive traffic to your booth, tell them about special promotions, or to remind them of upcoming events. Stay connected with the event’s social media platforms so you can answer relevant questions. Proper staffing is key. Provide training and ensure everyone is in sync on the goals of the show and talking points. Set measurable expectations, such as number of appointments scheduled, on-site demos conducted or qualified leads collected. Encourage proper booth behavior. Staff should be genuinely friendly, welcoming and attentive. Phone and laptop use should be done away from the booth. People respond to promotional offers. Offer a cool, branded promotional item to attract people to your booth and get them thinking about your company later. It’s also fun to create a memorable experience that gives potential clients a reason to remember your company name. Hands-on demos of products, photo booths, and games are all winning tactics. We’ve summarized some creative ideas for winning the in-booth game. Get those leads! Be sure to capture contact information from all your booth visitors. One way to do this is through a lead retrieval scanner system, or by collecting information through your promotional efforts. Make note of any questions visitors had about your products and services – you can use these to add to your website or blog later on. Don’t drop the ball on following up with the leads you collected. Remember to reach out to every visitor who came to your booth after the show, either by email or phone. You may also want to email those who showed interest in the show but couldn’t attend. Here’s some great tips on follow-up practices to ensure the most success. Recap the show on social media for anyone who couldn’t make it. This is also a great way to remind people what they may have missed, like special deals or cool promotional items. Remember those questions you recorded from your booth visitors about your products and services? Now is a great time to turn those into informative blog posts. Measure your results. Review the marketing strategies you used for the show – what worked and what didn’t? What do you want to do differently next time? Remember to calculate your ROI on the event once the sales cycle closes, and to keep track of your notes and other planning materials to look back on in the future. 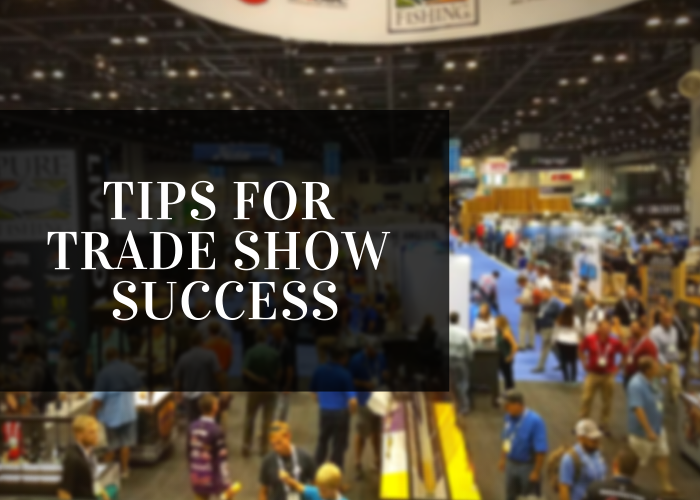 Good luck with your trade show endeavors and be sure to keep following our blog for more helpful tips on how to rock your exhibiting experiences! Check out our complete Trade Show Planning Guide. It’s a thorough planning tool so you don’t miss any details for your next show. To really maximize your efforts, connect with one of our experts to help you from start to finish. 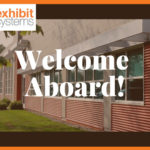 Contact Sales Director, John Schlosser at john@exhibitsystems.com.